Lance Bombardier Joel Daye, who joined the Army in 2008, borrowed £10,000 through Forces Help to Buy. 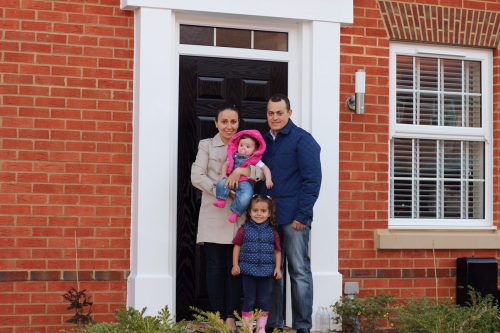 In April he and his wife Simona moved into their first home – a three-bed, detached house in Hampshire. Having been married for six years, their new home has given them a permanent base and somewhere to raise their daughters Arielle, three, and five-month-old Gabriella. “Owning our own home means a lot to us. Our way of life has improved as the area we moved into is so lovely. Arielle spends most of her time playing in the garden and there is no traffic down our road, making it nice and quiet.